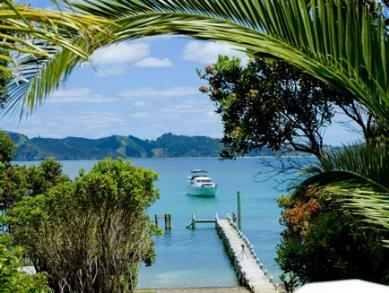 Peaceful sheltered private bay.. 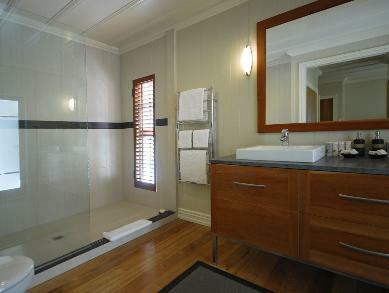 Helicopter access if desired.. Beautiful well appointed home.. 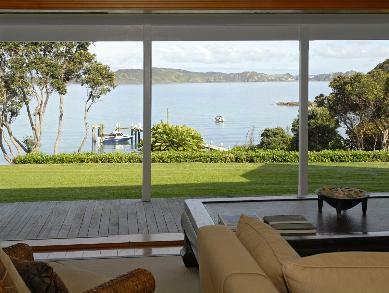 Truly stunning home in the bay that Captain Cook first dropped anchor in the Bay of Islands. 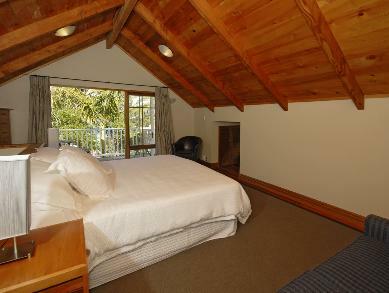 The standard price is NZD$ 2500.00 per night. A discount of 20.00% is available on bookings 14 night/s or over. Some of the frequently asked questions asked by our guests. A: The caretaker / manager will meet the guests on arrival, if there are staff that wish to come earlier he will meet them to explain all and answer any questions. He will also secure the property when the guests vacate. Q: • Electrical Systems - we are aware the property is solar powered however is there a back up generator ? A: There is an integrated solar system that includes a generator backup. If the power supply gets down to a certain level, due to bad weather, over use, or a combination of both, the generator will start automatically and run for between 3 to 5 hours, and shut itself off automatically. The master solar computer controls the backup generator, the generator shed is locked, it is designed to work automatically. Q: • Water System - being on an island how does the water system work ? A: The water is filtered into the house, an ultraviolet system is installed for drinking water only. It is located in the kitchen, and is then filtered through a stand alone Nikken Pimag filtering system which transforms the water further through several stages of filtration while maintaining beneficial minerals and a regulated PH balance. Q: • Catering - In addition to the oven gas hob and dishwasher what other appliances and crockery is provided ? A: The Gas stove and hobbs is the larger 900 mm version. There is a gas BBQ outside. There is a full complement of crockery provided, including platters and large salad bowls. Q: • Does the property have telephone and Internet access? 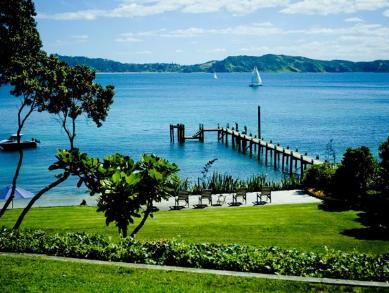 A: It has a landline telephone with free nationwide calling (NZ). Q: • First Aid - Is there a comprehensive kit available or should we supply our own? Q: Can the bunks be re configured into two single beds in one room? 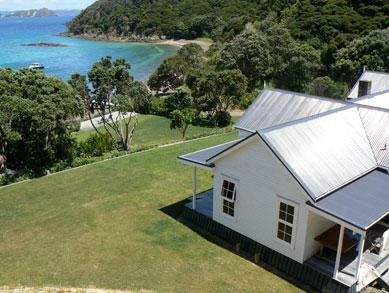 Cooks Cove Retreat at Roberton Island - 5.0 out of 5 based on 1 ratings. 0 guest reviews. Outstanding private retreat. Disappear from the world. 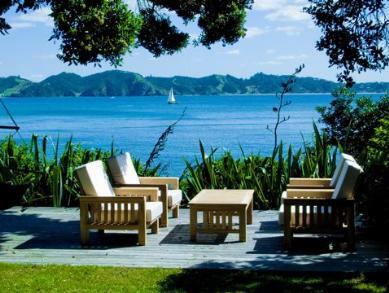 Set in the world-renowned Bay of Islands, with its secluded bays and an abundant marine life, the eco friendly and self sustaining retreat is set in spacious grounds, surrounded by NZ native flora and fauna and located within a conservation area with its own private beach. 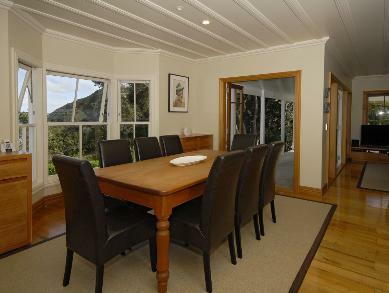 The property offers accommodation for up to 8 guests, 3 bedrooms in the main house with 2 bedrooms in the guest house. 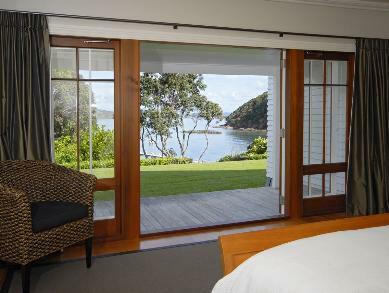 Guests can enjoy relaxing on one of many decks, swimming, kayaking, fishing and lush native bush walks around the island.Dolphins often frolic or feed in the bay in front of the house. 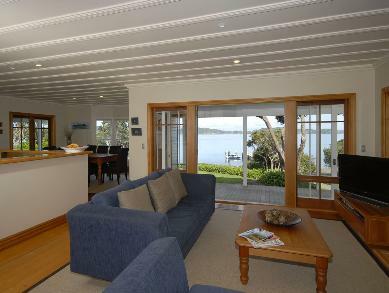 Watch from the island or take one of the kayaks out and join them close up. 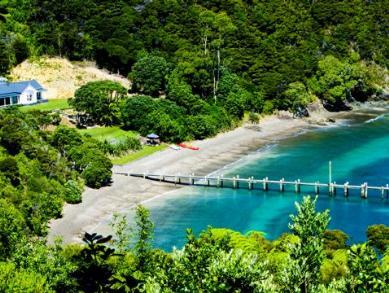 Roberton Island, also known as Motuarohia Island, in the Bay of Islands, is today a wildlife refuge. A bronze plaque in the bay at Cooks Cove commemorates the visit of Captain James Cook to the Bay of Islands on his first circumnavigation of New Zealand in 1769.